This photo of five women walking shoulder-to-shoulder led me to write The Deans’ Bible. Over the course of several years when I attended Purdue University “women’s events,” I repeatedly saw the photo on posters and invitations, as if it were the only representation of women on Purdue’s campus. 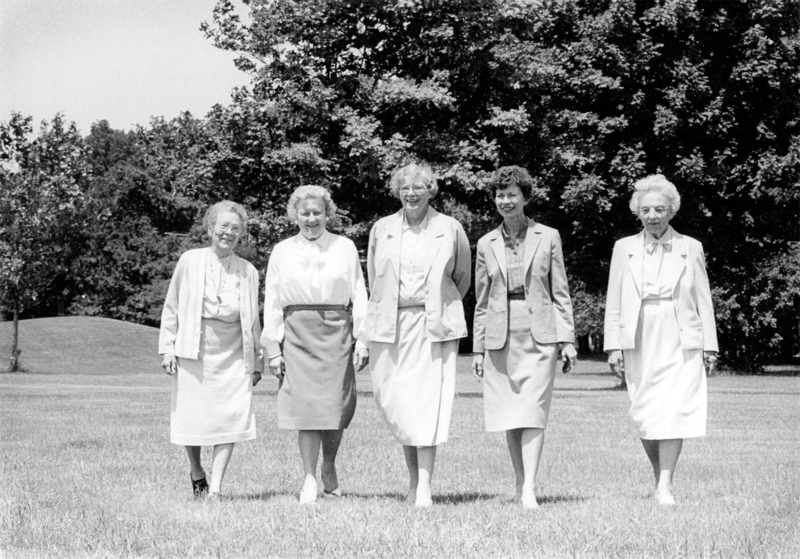 I did not know much about the quintet, but every time I saw the picture, the women walked toward me, and I thought, There’s a story. Until I began my research, I had no idea how much of a story there was to tell—the untold accounts of discrimination; the quiet battles for equality; the deep connections among the five women; a century-worth of unwavering support of one another, women students, and women faculty. I did not know there was a secret Bible. No one knew outside of the deans’ circle. Until I wrote the book.